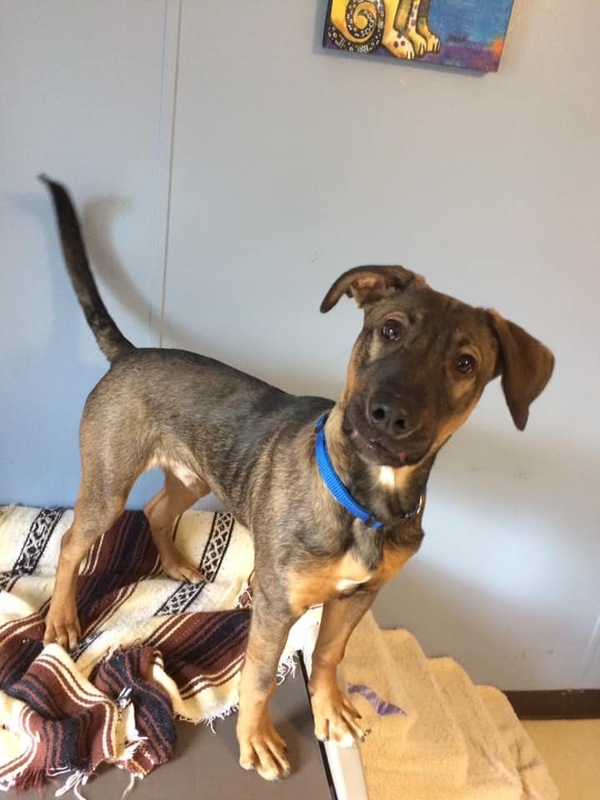 Chip is a 6 month old Shepherd mix! Chip is a very energetic boy, who came to us with his little puppy brother, Rolo! Chip current weighs around 45 lbs, whit a lot of room to grow! He had a rough start at life, but he doesn’t let that get him down! He still needs work with potty trainkng, and crate training. He loves toys, running, taking walks, and people! Chip is in he process of getting his vaccines current, has been given flea and tick preventative, been dewormed, is scheduled to be neutered! His adoption fee is $85 but his potential adopter still needs an approved adoption application.